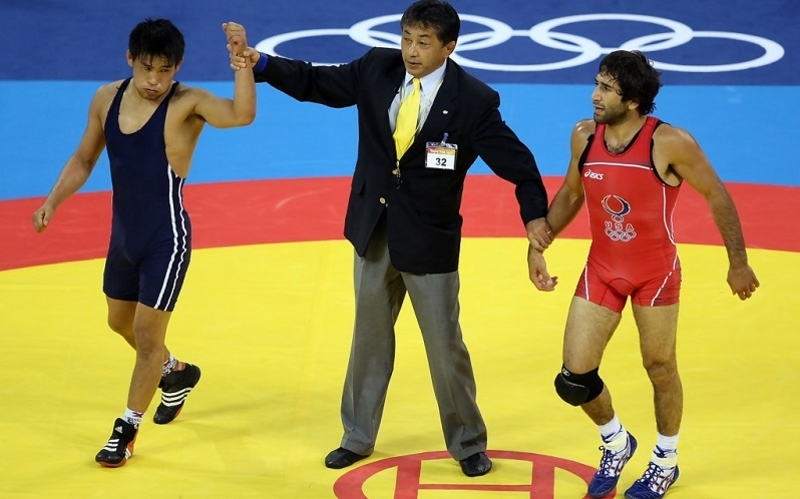 AKIPRESS.COM - Bazar Bazarguruev of Kyrgyzstan became a bronze winner in men's freestyle 60 kg at the 2008 Summer Olympics Beijing after Ukraine's Vasyl Fedoryshyn failed anti-doping test, United World Wrestling said. The International Olympic Committee on April 6 announced two freestyle wrestlers from the 2008 Olympic Games have failed anti-doping tests. Artur Raymazov of Uzbekistan who won gold at 120kg and 60kg silver medalist Vasyl Fedoryshyn were found to have failed the retests of their A and B samples from the 2008 Olympic Games in Beijing. In addition to the re-shuffling of Olympics medal table, the United World Wrestling will conduct proceedings to review possible suspensions in accordance with its established anti-doping policy. Kyrgyzstan's Bazarguruev and Japan's Kenichi Yumoto are now bronze and silver medalists in new medal standings for each weight category affected by the anti-doping tests. Bazarguruev was born January 9, 1985, he is a wrestler of Buryat descent from Kyrgyzstan. He participated in Men's freestyle 60 kg at 2008 Summer Olympics and was ranked on 4-5 place. He lost the bronze medal fight with Kenichi Yumoto from Japan. The United World Wrestling judge has also passed down decisions for previously noted anti-doping violations of Kazakhstan's Soslan Tigiev, Khasan Baroev of Russia and Taymuraz Tigiev of Uzbekistan. Soslan Tigiev, who also has a violation in 2012, is banned for life. Baroev and T. Tigiev are each banned for two years and their results achieved from Beijing 2008 until August 2010 (2 years) are annulled.